Rheem HVAC has been in the heating and cooling business since the late 1930’s and came out with its first central air conditioner and heater in 1954 known as Rheemaire. It’s been in the business of air conditioners and heaters ever since, offering some of the most modern and capable units. 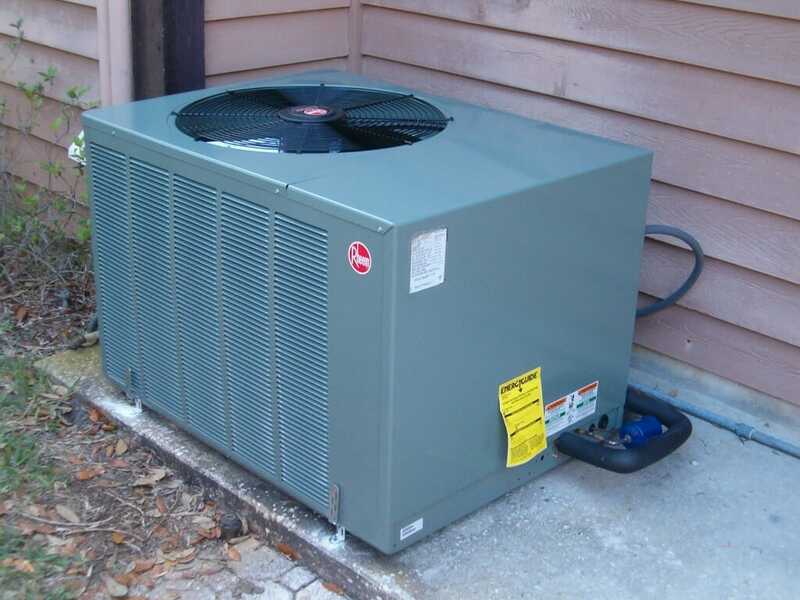 The company is known for their central ac units, heat pumps, gas furnaces, water heaters, and package units for both the residential and commercial industry. Rheem HVAC offers three different levels of air conditioners, the company offers units in the entry-level Classic Series, the upscale Classic Plus series and the top-of-the-line Prestige Series. The classic series has units starting at 13 SEER and going up to 16 SEER (Seasonal Energy Efficiency Ratio). They’re all fitted with a single stage compressor and come with a composite base for noise dampening. All of these units rely on a scroll compressor for efficient and quiet performance. The Classic Plus line adds in a few improvements compared to the standard Classic Series. While SEER Ratings remain the same with up to a 16 SEER efficiency, the compressors used are two-stage units for enhanced control, and they are EcoNet enabled for improved scheduling and remote operation allowing you to adjust your systems controls from anywhere in the world. When you step up to the top level Prestige series the units are efficient up to 19.5 SEER and they are fitted with a compressor sound blanket for operation as quiet as 71 dB (equivalent to average street noise). The unit is variable speed and can help adjust humidity levels to keep them comfortable. Rheem HVAC offers two different levels of heat pumps designed to offer top-level heating and cooling. They sell heat pumps in the Classic Series and the Classic Plus Series. Classic Series heat pumps operate at between 14 and 15 SEER efficiency levels and they run on a scroll compressor (a scroll shaped device for compressing air or refrigerant) just like the air conditioners. The units are fitted with a composite base pan to dampen noise during operation. The Classic Plus Series offers cooling efficiency levels up to 18.5 SEER and heating levels up to 13 SEER. The units in the series can be connected to the EcoNet remote control system and they come with a highly versatile three-stage compressor for more control and improved efficiency levels. Rheem offers a variety of packaged units that take all the heating and cooling components needed for comfort and they stuff them all into one neat and compact unit. There are air conditioning units, gas and electric heating and cooling units and both horizontal and standard heat pumps. Units between two and five tons are available and they offer all the heating and cooling needed for a variety of residential and commercial locations. The packaged units come with an internal trap on the condensate line and a solid core liquid line for effective liquid removal to keep humidity levels managed. One and three phase units are available giving you the level of control that fits your needs. Rheem offers a line of controllers and thermostats for enhanced scheduling. All the thermostats are digital and offer scheduling features for improved efficiency and more control over temperatures throughout the day. The EcoNet Control Center product from Rheem connects all your heating and cooling units to one central system, and offers an impressive level of remote control over supported products. Rheem offers a variety of Energy Star approved equipment guaranteed to offer highly efficient performance. Rheem has condensing units, gas and electric heating and cooling units, gas furnaces and heat pumps that are all rated as Energy Star efficient. There may be government and local tax credits available for Energy Star rated equipment, so check around to see what incentives are available for heating and cooling products in your area before buying, you could save a bit of money just by doing a simple search. Rheem makes it simple to locate qualified installers. The company maintains a database of verified installers and connects customers with installers that can be relied on. The Rheem Contractor search allows customers to look for technicians and certified installers in their area. It’s simple to use and shows nearby service providers.